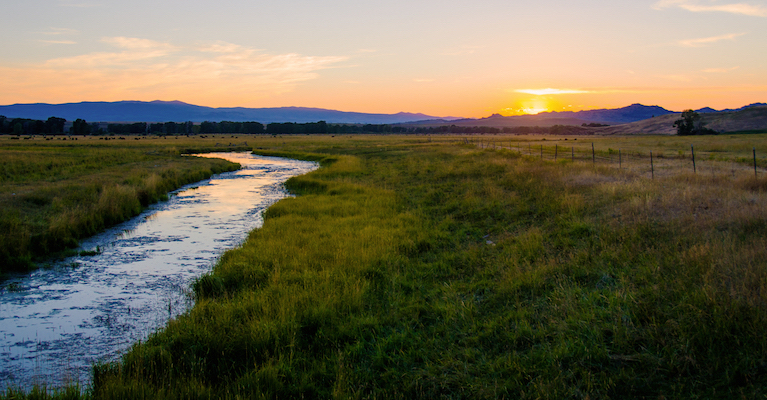 Private lands are key to the culture, ecology, and economy of the West. 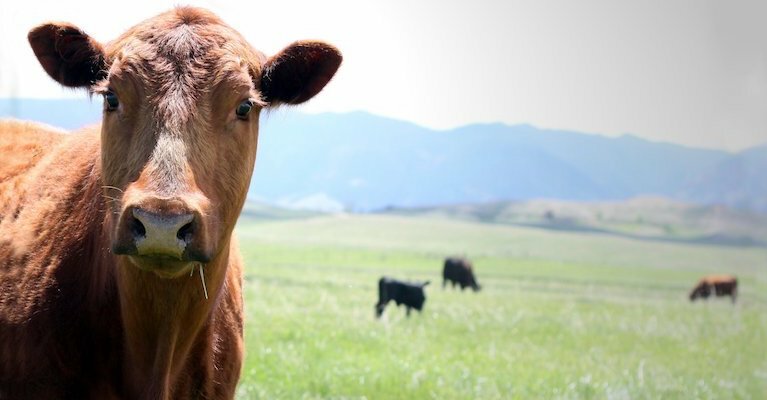 They produce food and fiber, provide wildlife habitat, protect watersheds, connect landscapes, sustain livelihoods, and more. But private working lands, and the resources they protect, face increasing pressure. 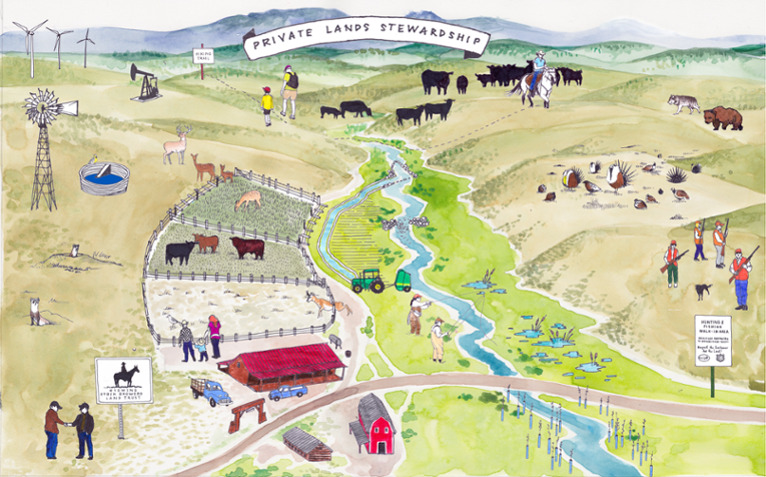 Population growth, volatile agricultural prices, soaring land prices, and difficulty recruiting younger generations to ranch life, all compel landowners to sell private land for development, putting the resources and values private lands protect at risk. Landowners need tools, information, and resources to help keep agricultural operations viable, prepare for the future, and ensure private working lands remain intact for generations to come. The new Whitney MacMillan Private Lands Stewardship Program in the Ruckelshaus Institute at the University of Wyomiing will address the needs of private landowners by drawing on expertise and interdisciplinary collaborations across natural resource management, rangeland ecology, business and finance, law, decision-making, collaborative processes, and other fields. 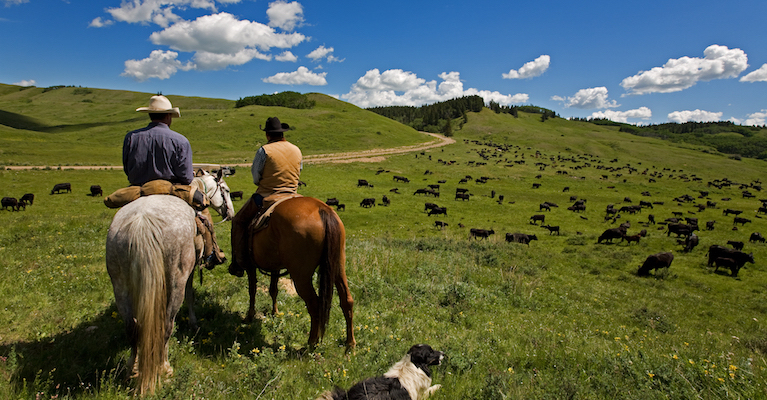 The program will focus on a range of pressing issues affecting private landowners, including intergenerational transfer of land; options for participation in emerging markets such as conservation banks; science-based range management and grazing practices; and effective collaboration with federal, state, and private land managers on issues ranging from grazing leases to carnivores. Click on map to view an interactive version. 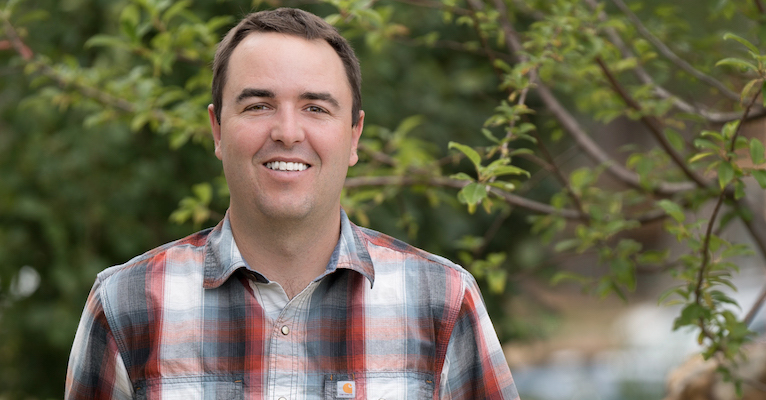 Motivated by a desire to sustain private working lands and keep agricultural operations viable, Haub School Emeritus Board Member, Whitney MacMillan, founded the Private Lands Stewarship Program in 2018. 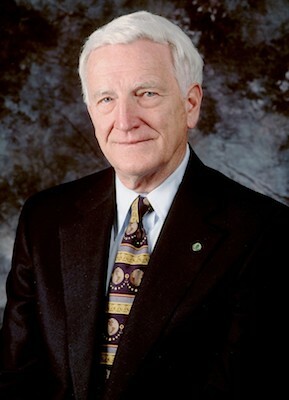 As the retired Chairman and CEO of Cargill, Inc., and the operator of a cow-calf ranch in Montana, Mr. MacMillan has seen the challenges facing private landowners first-hand. Whitney's gift supports a Professor of Practice in Private Lands Stewardship, Dr. Drew Bennett, and establishes the new Whitney MacMillan Private Lands Stewardship Program to advance research and outreach that will create new understanding about the drivers of private-land changes and emerging tools for sustaining private lands.